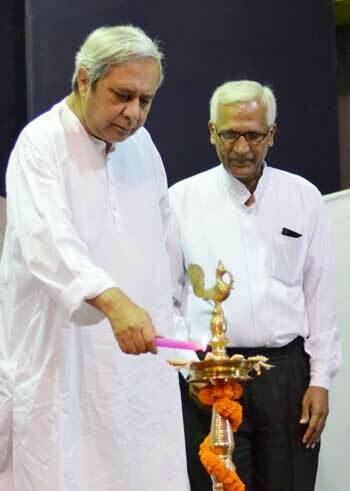 Odisha Channel Bureau Bhubaneswar: The Centre of Excellence in Fiscal Policy and Taxation (CEFT), established by the Government of Odisha in collaboration with Xavier University, Bhubaneswar (XUB), was inaugurated by Chief Minister Naveen Patnaik at the Xavier Institute of Management, Bhubaneswar (XIMB) today.CEFT has been established as the first point of reference for policy research in tune with the objectives of the Odisha Fiscal Responsibility and Budget Management (FRBM) Act of 2005.It will focus on providing fiscal reports and relevant data, revenue forecasting, analysis of fiscal and financial issues, budget outlook, project financing and management, specialized training for finance and taxation officials, interaction between academicians and finance officials etc.The centre aims at being a platform for fiscal management and taxation policies.CEFT, a collaboration of Government of Odisha and XUB, is a unique model among all state level Fiscal Policy Units in India.As the Centre State relationship is going to change because of the recommendations of 14th Finance Commission and setting up of NITI Aayog, CEFT will focus on contextual policy research for augmentation of both tax and non tax revenue by bridging the tax gap and optimization of capital outlay which will be instrumental in creating a higher growth trajectory in our state on sustainable basis. Speaking on the occasion, Patnaik said expressed hope that CEFT would work towards accurate and timely analysis of the budget, inter-governmental fiscal transfers, and revenue and expenditure trends.“I hope the Centre will contribute immensely to the policymaking process, for improving the quality of fiscal planning and policy formulation.This would go a long way in ensuring efficient and prudent management of state finance on sustainable basis which, in turn, will ensure higher growth for the State’s economy,” he observed. Asit Ranjan Mohanty of XUB has been nominated as the Chair Professor of CEFT.A Governing Body will set the working policies and deliverables for CEFT which will be chaired by the Additional Chief Secretary to the Government (Finance) and the Chair Professor will be the Member Secretary.A national level seminar on `Fiscal Policy and Taxation’ was hosted by CEFT on the very first day of its inception.Several experts and academicians in the relevant field participated in the seminar.